I give Distinctly Organic MatchaBiotics a rating of 1.5 out of 5 stars. I had higher hopes for this probiotic but it really let me down. It touts organic matcha green tea powder in the formula, which they consider a prebiotic. I like the idea of matcha being included in a probiotic and it’s definitely not something I’ve seen before. Matcha has a lot of great qualities and may help benefit the body and overall health. It also has 10 billion CFU in 10 probiotic strains. I was really surprised because I just didn’t see any improvements after taking this supplement for a while. It even uses SmartCap technology, which is a special delivery system that’s supposed to help the probiotics survive your stomach acid. 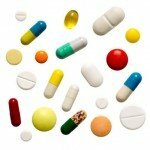 They are easy to take, just take 1 capsule daily when you first wake up in the morning with 8 ounces of water. But it’s not safe for anyone less than 18 years of age. The capsules are free of all major allergens and are gluten free, non-GMO, and vegan friendly. You don’t have to refrigerate them and they’re shelf stable for 2 years. 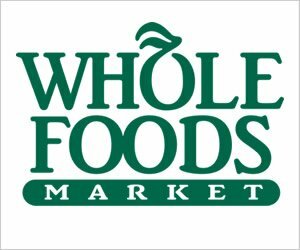 Their website looks pretty lean and mostly just directs you to their Amazon sales page. Unfortunately, I couldn’t find any sort of money back or satisfaction guarantee, which is annoying. Overall, I just expected more from this probiotic and wasn’t impressed with it at all. 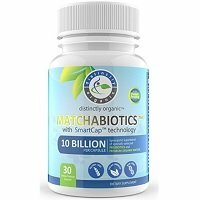 Distinctly Organic MatchaBiotics has 10 billion active cultures (CFUs) in a proprietary blend of 10 probiotic strains. It also uses Organic Matcha Green Tea Powder, which I’ll get to in just a bit. Of the probiotic strains, I like that Lactobacillus acidophilus is used. Studies show that this strain may help prevent diarrhea, skin problems, vaginal infections, lactose intolerance, and Irritable Bowel Syndrome (IBS) symptoms. 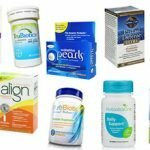 It may also help with common stomach ailments like gas, bloating, and constipation. I also like Bifidobacterium Longum in the probiotic lineup. This strain has been shown to help reduce stomach problems due to stress, soothe irritation in the body, and help alleviate anxiety. 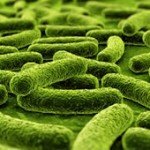 This probiotic strain might be aggressive and can even overrun other good bacteria in the body. So MatchaBiotics obviously contains matcha. Matcha is green tea powder that touts many health benefits such as weight loss and boosting energy levels. It contains L-Theanine, which may promote the production of dopamine, serotonin and alpha brain waves. These help promote relaxation while enhancing mood, improving memory and promoting better concentration. The matcha in MatchaBiotics contains the antioxidant know as Epigallocatechin Gallate (EGCG), which may help in neutralizing harmful molecules known as free radicals. Distinctly Organic MatchaBiotics doesn’t have any major allergy concerns. It’s free from the most common allergens such as gluten, soy, egg, shellfish, fish, cereals containing gluten, corn, peanuts, tree nuts, sulphites, alcohol, and sugar. It’s also non-GMO, Kosher, Halal, and suitable for VEGANS. The other ingredients include: Microcrystalline Cellulose, Vegetarian Capsule, Silicon Dioxide, and Magnesium Stearate. It costs $19.99 for 30 capsules, which will give you a 1-month supply. That’s pretty average as far as probiotic supplements go. Even though it’s average, I don’t think it’s a good value for the price. I was let down with this product. I didn’t notice any negative side effects while taking Distinctly Organic MatchaBiotics. I just didn’t feel much or any differently after taking these probiotics. Distinctly Organic doesn’t have much information on their actual website. The majority of it just leads you over to their Amazon page where they sell their 2 current products. I couldn’t find any type of guarantee on the website or on their Amazon page. To buy Distinctly Organic MatchaBiotics, click here.